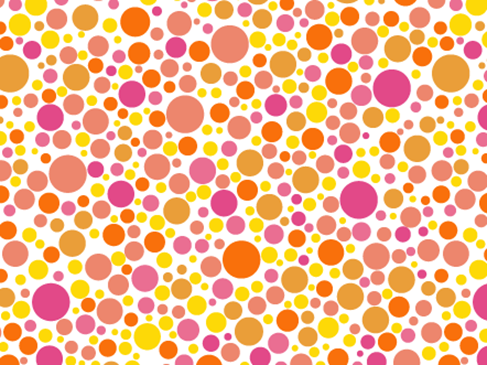 Free Vector Colorblind Pattern | Free Vector Graphics | All Free Web Resources for Designer - Web Design Hot! You know how colorblind logos have become popular in the past couple years? Well, we are in the middle of creating a great colorblind font to give away here on Ars Grafik, and I wanted you to get a sneak peak at the pattern I’m using for it. So today we’re giving away two free “colorblind” patterns for Illustrator–one in peaches and pinks, the other in greens and blues. This should save you time when creating things like logos, posters, and other design media. The designs have been saved as pattern swatches, so check the swatch panel when opening. This entry was posted on Tuesday, March 16th, 2010 at 6:19 pm and is filed under Free Vector Graphics . You can follow any responses to this entry through the RSS 2.0 feed. You can leave a response, or trackback from your own site.